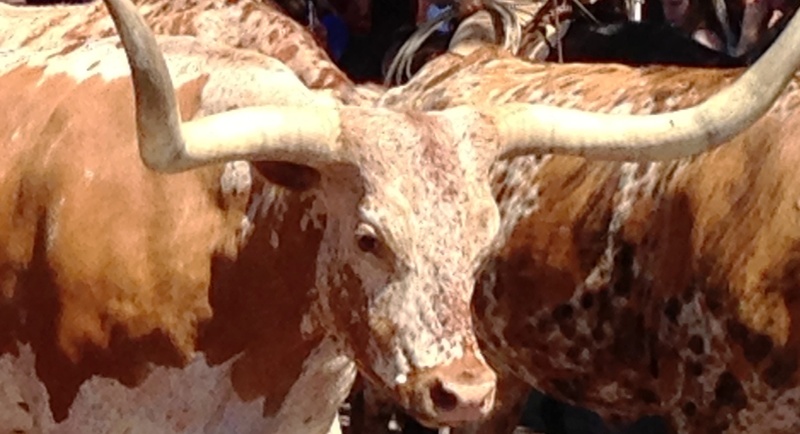 It’s the curve of the horns that make the Texas longhorns so intriguing. 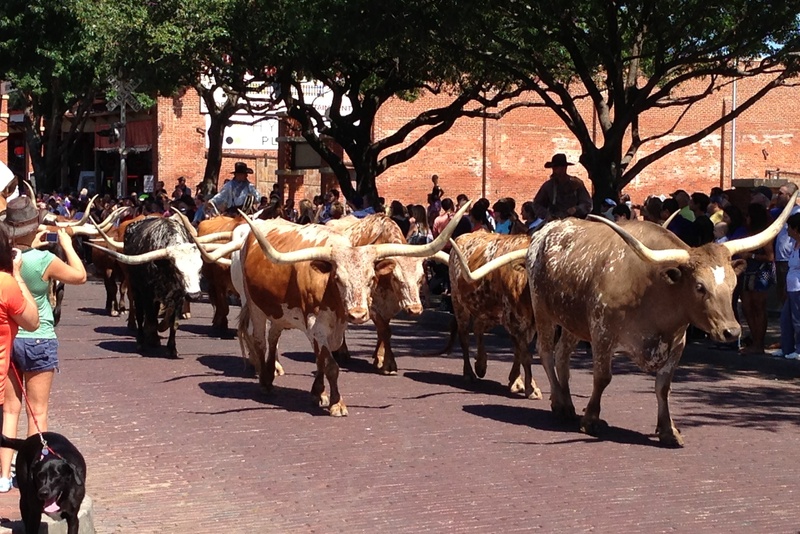 I ventured into the Fort Worth Stockyards area just in time to see the public cattle drive that takes place there every day at 11:30 and 4:00. There was also a staged gunfight, rodeo show, rope tricks, pony rides, and a mechanical bull you could ride, but it wasn’t the type of thing I wanted to do without my family there. There were lots of western wear shops, saloons, steaks and barbecue. It reminded me of the Old West Festival we went to in Ohio last year. Except this was more the real deal. This was Texas. 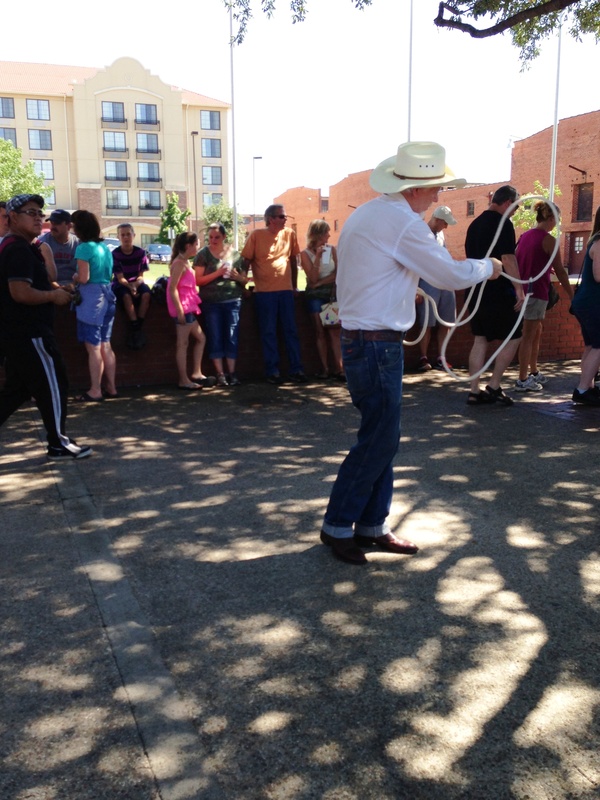 I was content to watch the cattle roam by and watch an old cowboy do rope work. If I ever return to the Dallas/Fort Worth Metroplex area with my family, this is one of the first places we’ll go. 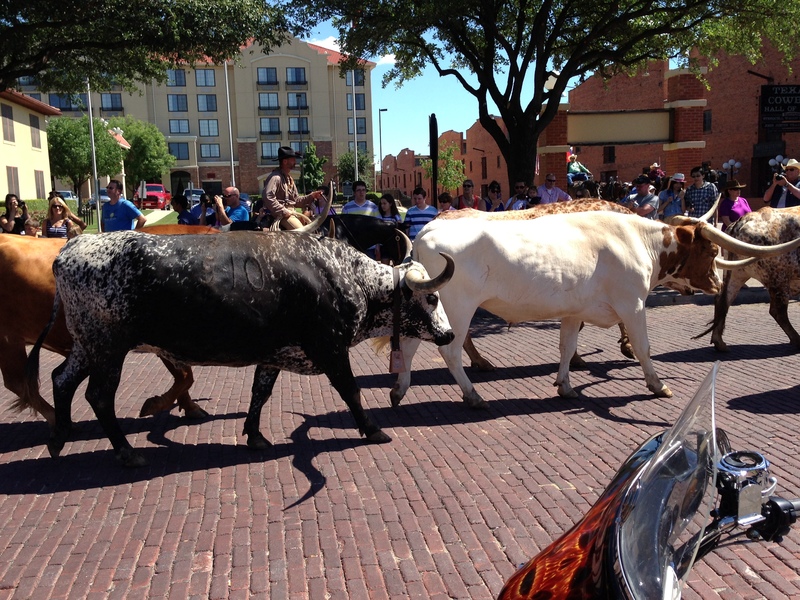 Have you been to Fort Worth? If there’s more to see there, let us all know! those are very original curves — like your choice! Thanks! They were so beautiful. They are like all those shows and movies. Luckily for your Jersey cows, they’re not leaving Texas! Thanks. It was a beautiful sight. I can only imagine what it was like in the alps. I’ll bet that was incredible. Great creative way to capture curves! I’m not sure a lot of people would have thought of that. Seems like a fun day too! I would love to see an old cattle drive like that! I have so much respect for the people who still do the incredibly hard work of ranching. I do, too. I know I couldn’t do it!